Tamara and Julian dreamed of having a garden party in the heart of St Kilda with their ceremony at the St Kilda Botanical Gardens and reception at Encore. Their ceremony was to be held at the St Kilda Botanical gardens by the pond on a beautiful sunny day. The gardens were the perfect backdrop for the day, the roses were in full bloom, the pond was clear and the green grass and trees stood perfectly behind the white chuppa and bright coloured flowers. Encore was the reception of choice with the high ceilings, vast windows and rustic décor Tamara wanted to add a touch of colour and rainbow was the theme. Because the ceilings were so high they wanted a feature.. a hanging feature above the bridal table. So I set about to make a hanging box which I filled with rainbow coloured flowers and green foliage hanging down, this gave an affect of a floating garden hanging from the ceiling. 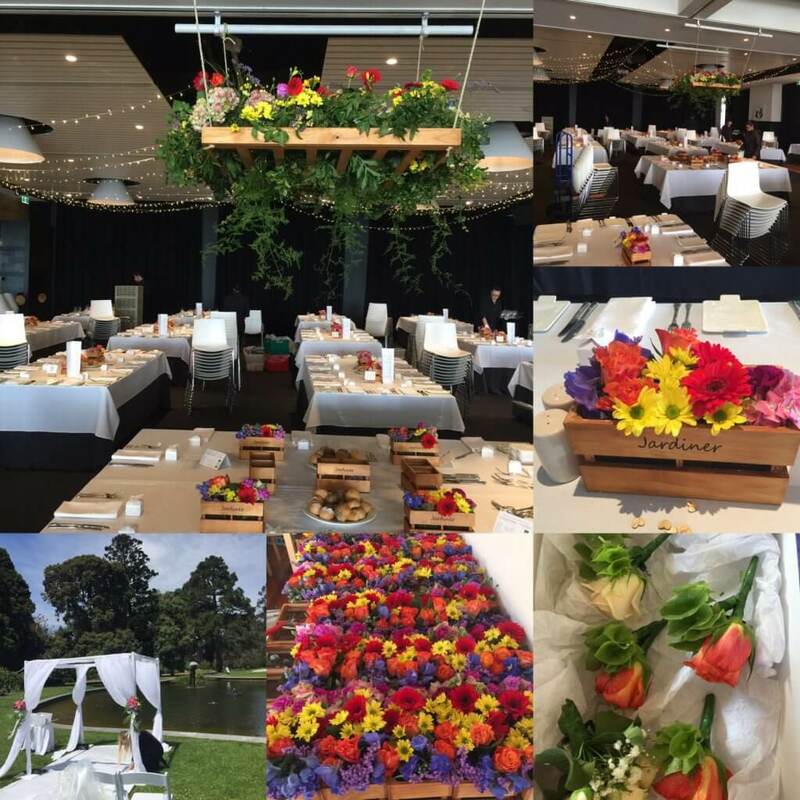 This entry was posted in Bayside Weddings and Events and tagged #baysidebouquets, #botanicalgardens, #chuppas, #encore, #rainbowflowers, #stkilda.